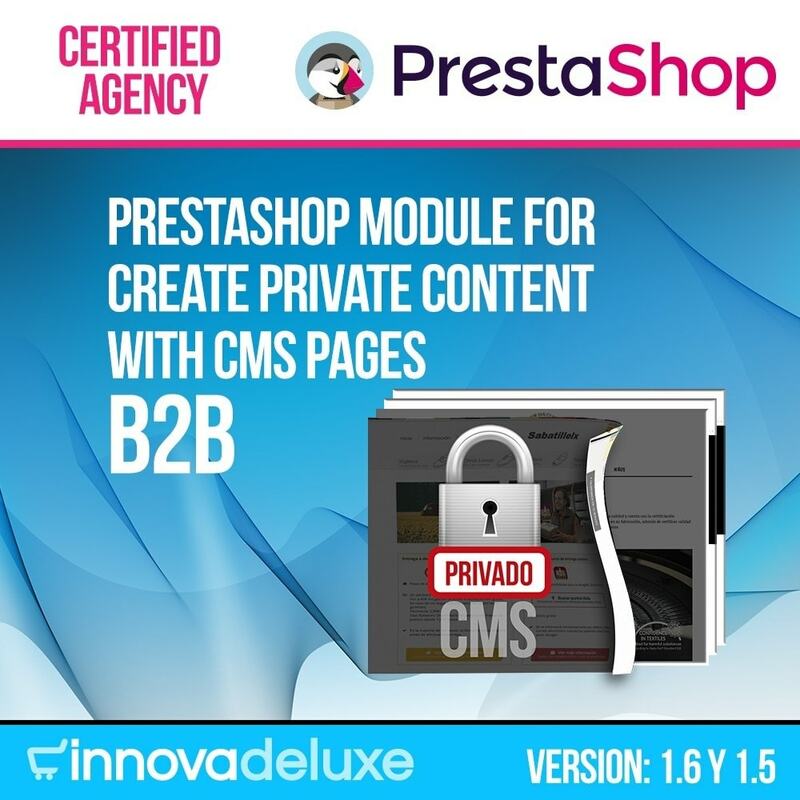 Now with this module you’ll be able to have private pages in your Prestashop Online Shop. For example, you can create a downloads section allowed only for certain customers or customer groups. 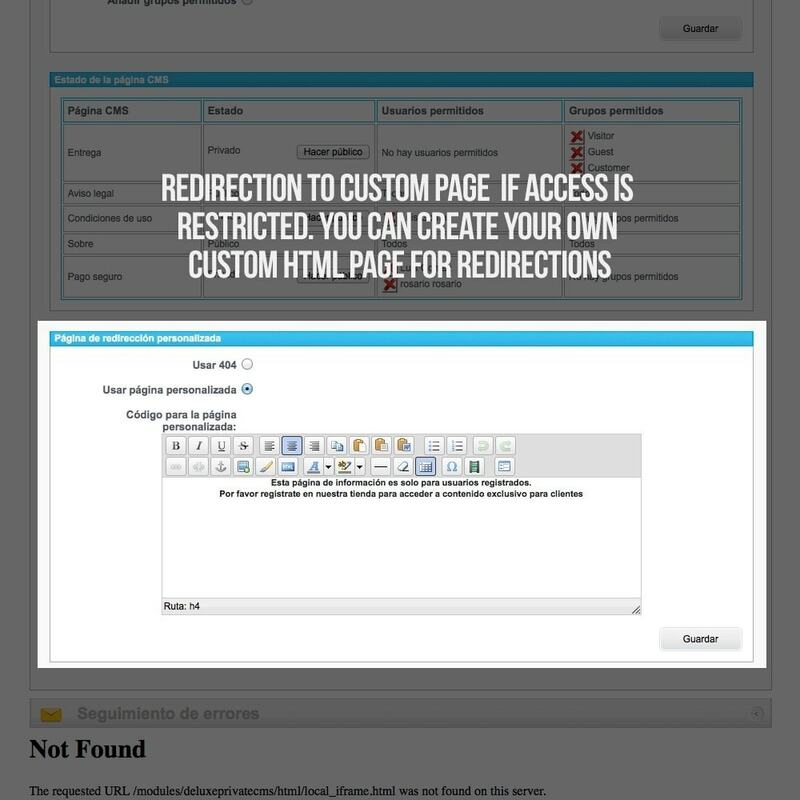 You can configure various customer groups and different private content for each one. Very easy to configure. 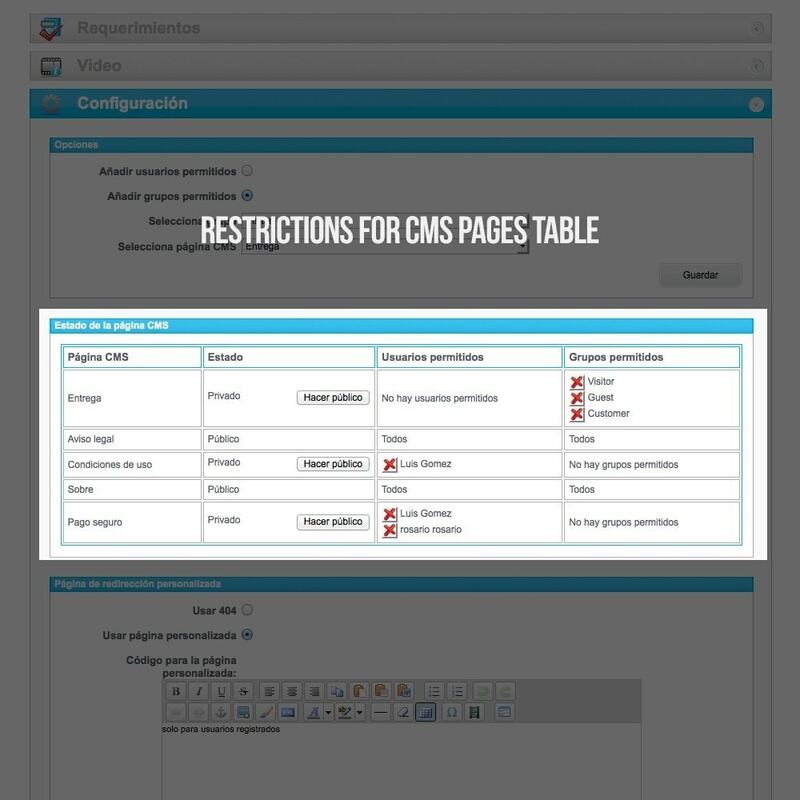 Just select a CMS page, a customer or group allowed for this page, and apply changes. 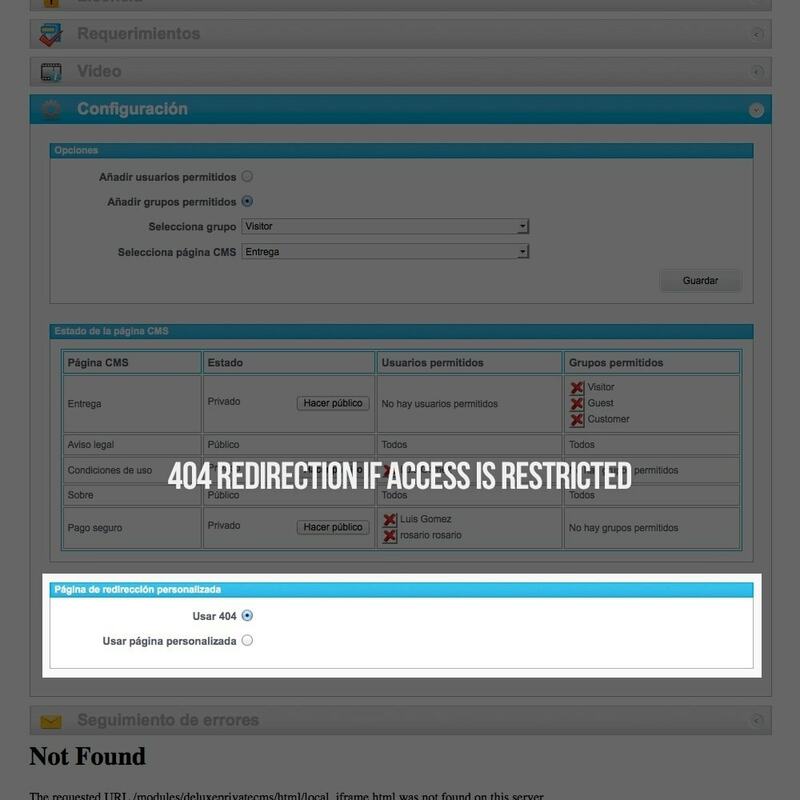 Your customers will have permissions to access personalized contents. You can fidelize your customers offering them special contents for their eyes only.